Dogs are pack animals that depend on their humans for food, shelter, companionship, and affection. Why then, do some people have a pet dog only to keep the animal chained outside all the time? Sadly, chained dogs can be found in every neighborhood, be it in a city, suburb, or rural area. Just look around your own hometown. This year, Dogs Deserve Better (DDB) is preparing for their Valentine’s Day outreach project that aims to send 17,000 Valentines to chained dogs everywhere during February 7-14, which the organization has declared Have a Heart for Chained Dogs Week. DDB is 501(c)3 non-profit animal advocacy organization based in Pennsylvania with a single goal – to free all chained dogs from living in harsh outdoor conditions by bringing them into a warm, loving home, which is what they deserve. For the past eight years, DDB has sent Valentines to owners of chained dogs in an effort to educate them about why chaining is so detrimental for their canine companions. Included with each Valentine is a coupon for dog food or treats, as well as anti-tethering literature. DDB founder Tamira Ci Thayne’s commitment to raising awareness about the plight of chained dogs is nothing short of amazing. Last year, she chained herself to a doghouse outside the Pennsylvania State Capitol in Harrisburg for 52 days in order to get the attention of lawmakers. Despite her efforts, however, the bill did not even make it to the floor for a vote. A video filmed by Thayne shows just how long a chained dog that has been deprived of water (as well as food, shelter, and attention) will drink when given the chance. The short video was recorded over the course of two days. On day one, the chained German Shepherd drank non-stop for at least four minutes. On day two, it was about six minutes. Situations like these really explain Thayne’s determination. The German Shepherd in the video and her three yard mates were eventually rescued by the PSPCA, but many other dogs are still waiting to come into loving homes. 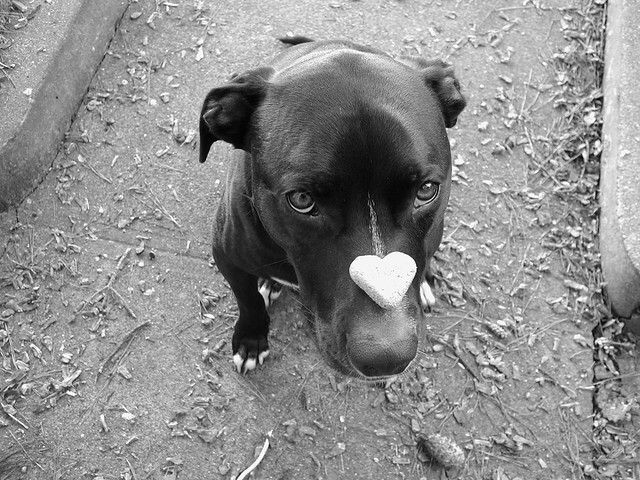 If you’d like to take part in DDB’s Have a Heart for Chained Dogs Week, visit their website at DogsDeserveBetter.com.